Love is Everywhere: Sharing with you TeaCup Castle! I had the lovely opportunity to wear some of TeaCup Castle's beautiful accessories. As you'll see from her Etsy Shop there is a variety of items she offers. As I love jewelry, the necklace I simply adored. It's has gold and blue beads and long enough to wear with any flowing dress, shirt or tank top. You can mix it up with anything casual or dressy! 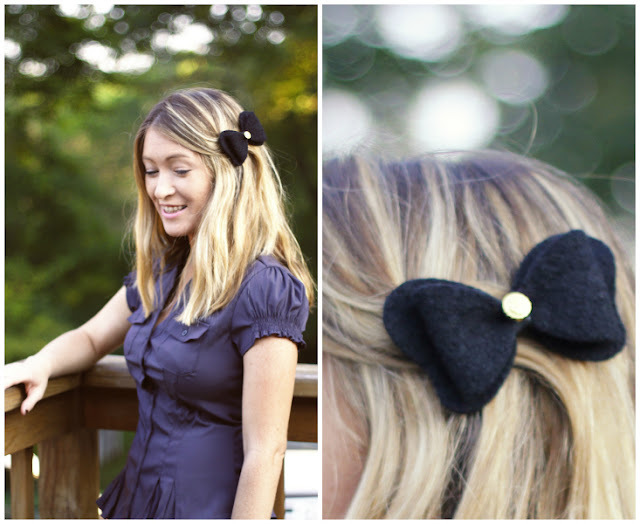 The bow which has a large clip on the back can be used in your hair or even an accessory for your clothing. You can pull back the collar of your shirt or even the bottom and just clip it back a bit. Just to add that little something something! I would love for you to meet Angela. The genuine creativity and owner of TeaCup Castle. Stop by for Etsy Shop and browse around as well Like her on Facebook! You'll love her shop just as much as I do! Thank you Angela!! Why hello there! My name is Angela, the creator behind TeaCupCastle. My little shop is all about handmade items that are whimsical and filled with fantastical fun. Items are designed to add a little magic and “wow” to any outfit, for any occasion. How did I get started? 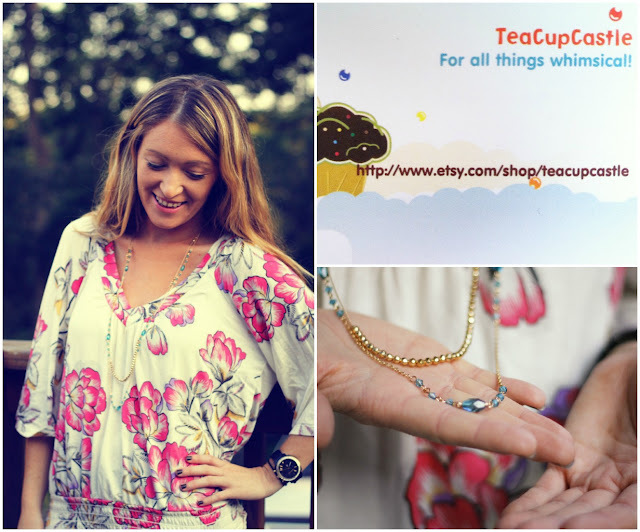 It all started with a cup of tea (hence the shop name) and my best friend. We were having tea and scones in her backyard when she mentioned that I should sell my items online. I had been hand-crafting since forever. She thought it would be great if I share my love of crafting with other people. Do come visit my Etsy and Facebook! Use the code XOXO15 for 15% off any item.